Car buyers and mobility app users around the world are aware about issues involving data privacy and increasingly willing to share personal info for certain applications, according to a new survey. The survey by McKinsey & Company of more than 3,000 consumers across the U.S., China and Germany revealed that 90% know certain data (such as their current location, address-book details and browser history) are openly accessible to applications and shared with third parties. Asked whether they consciously decided to grant certain applications access to their personal data, 79% said yes, even if they may have generally disabled that access for other applications. "In each case, American consumers proved somewhat more guarded than their Chinese or German counterparts, but even at the low end, 85% of the U.S. respondents answered in the affirmative to the first question, and 73% answered yes to the second," McKinsey & Company's survey report stated. American consumers were also more guarded than those surveyed in Germany or China when it came to sharing personal data for auto-related apps. But a majority of respondents in each country were on board -- as long as the use case met the consumer's needs. For example, 70% of Americans were willing to share their personal data for connected navigation services (the most popular app among those surveyed), while 90% of Chinese respondents would share personal data to enable predictive maintenance (the most popular use-case option in that country). Those surveyed also indicated they were willing to pay for numerous data-enabled features. 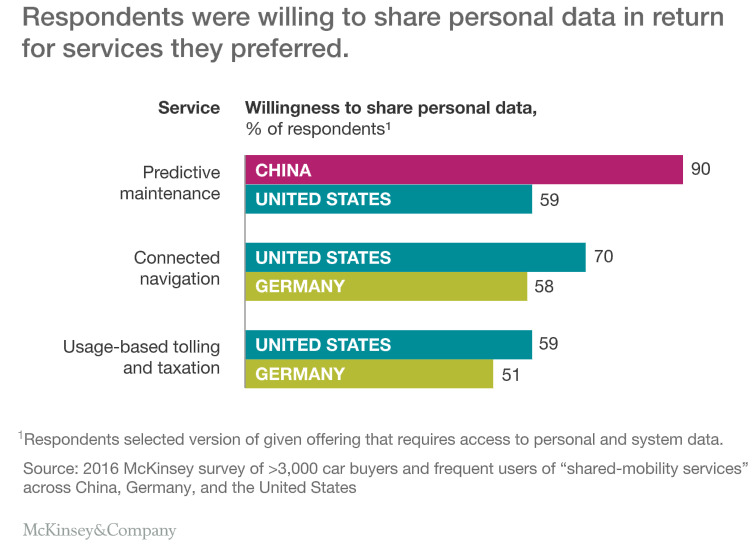 In Germany, for example, 73% indicated they would pay for networked parking services, and in China 78% would pay for predictive maintenance rather than choose free, ad-supported versions of those options. Seventy-three percent of Americans surveyed said they would pay for usage-monitoring services, 72% for networked parking and 71% for predictive maintenance instead of selecting free ad-supported versions. 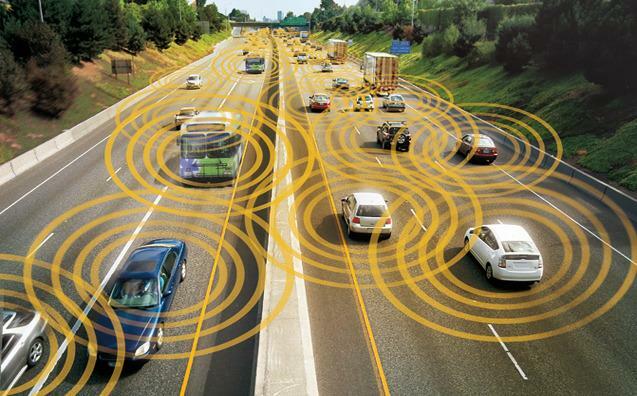 "Although the game is still early, these expressions of consumer cooperation — in the auto industry, at least — suggest that concerns about data-sharing can be satisfied when the value proposition is apparent," the report stated.